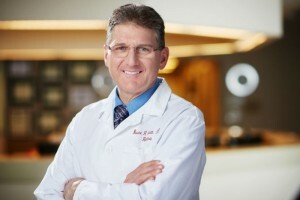 Bruce R. Saran, MD is a board-certified and fellowship-trained retina surgeon specializing in the medical and surgical management of all vitreoretinal diseases. Utilizing highly advanced technology and equipment such as digital fundus imaging and fluorescein angiography, Dr. Saran diagnoses and treats macular degeneration, diabetic retinopathy, retinal tears, retinal detachments, macular holes, and macular puckers. Dr. Saran frequently participates in clinical trials in pursuit of future treatments for vitreoretinal diseases. In addition, he regularly contributes to the community by lecturing on the advancements in vitreoretinal care including for The Macula Vision Research Foundation. Dr. Saran serves as a reviewer for two prestigious ophthalmology journal publications: Retina and Ophthalmic Surgery, Lasers and Imaging Retina. He also holds consultative positions on the advisory boards of several international retinal pharmaceutical corporations.